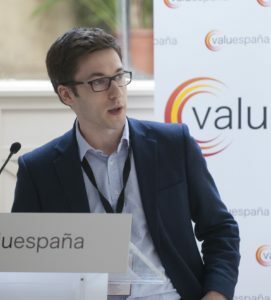 Diogo Pimentel, CFA, es un seguidor de la filosofía value. Antes de unirse a Magallanes Value Investors, ocupó cargos de gestor de cartera y analista en BPI AM y Santander AM, donde trabajó estrechamente con Iván Martín. Diogo es ingeniero eléctrico e informático por el Instituto Superior Técnico de la Universidad de Lisboa, Portugal. Es titular de la certificación Chartered Financial Analyst (CFA) y fue elegido Mejor Portfolio Manager 2013 y 2014 por los premios IRG de Deloitte. Daniel Abrahams is the Managing Partner at Alfreton Capital, where he invests in businesses alongside a group of long term co-investors. Daniel and team established Alfreton Capital in 2015 after spinning out from their previous firm, where Daniel had been a partner at launch in 2007. Earlier in his career, he worked in M&A at Deutsche Bank and he began his career at Arthur Andersen. He is a former co-chair of the Value Investing Special Interest Group of the UK CFA Society and he holds a Masters from the University of Oxford, where he graduated with First Class Honours in Economics and Management. Mr. Burguet is Portfolio Manager at Marlowe Capital and Research Associate at the Systemic Risk Centre of the London School of Economics. Marlowe Capital is a niche investor in the global banking sector following a fundamental approach in a macroeconomic context. Mr. Burguet has previous equity research experience focused on the banking sector in London. Before starting his finance career at Societe Generale CIB in 2008, he completed the International MBA at the Instituto de Empresa, Madrid. On the Academic side, his fields of research specialisation at the Systemic Risk Centre are global banks equities, monetary economics, macroeconomy, boom and bust processes and financial history. His interests outside his professional life include literature, running and cultural travel. Mr. Burguet earned a National Literature Award in Spanish language in 1993 awarded by Alfaguara Publishing House. Thierry Flecchia, 57, is the founder of PREVAL, a Luxembourg based asset management company where he manages a global equity fund (PREVAL WORLD WINNERS). Previously, he founded Flinvest and served as its president from 2003 until 2013. During that time, he co-managed Entrepreneurs, the European equity fund ranked number 1 in the European Equities Flex Cap category over a 10-year period (as of end of 2013). Thierry is a graduate of HEC, holds a law degree and is a member of the French Society of Financial Analysts. He began his career at the Paribas group as a private equity fund manager for Paribas Affaires Industrielles (now PAI Partners). He joined the Oddo group in 1995 as a mid-cap fund manager and co-managed the funds Oddo Avenir (and Oddo Europe Mid-Caps). Both funds were ranked in top decile during his tenure. 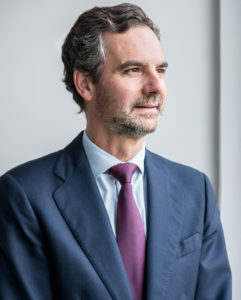 Massimo is Founder and CIO of Bayes Investments, which acts as advisor to the Made in Italy Fund, a Luxembourg mutual fund entirely dedicated to Italian small caps. 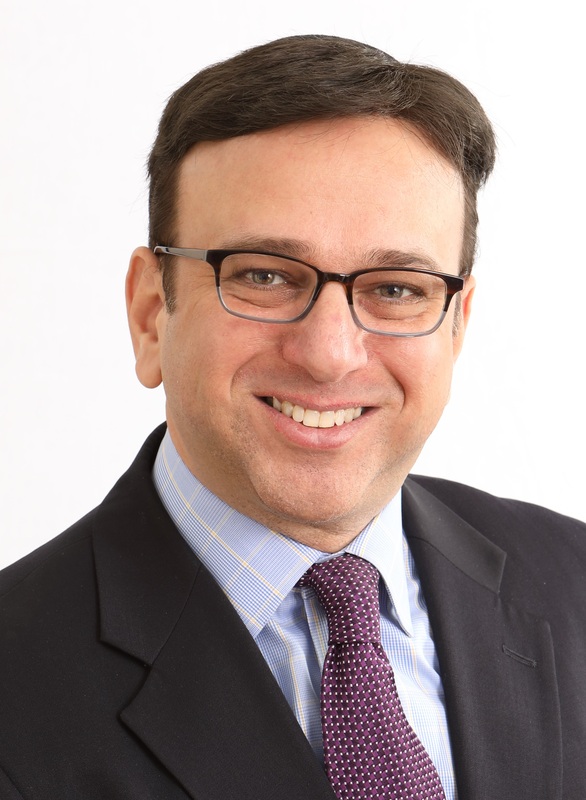 Massimo started his portfolio management career in 1988 at JP Morgan Investment Management in London. He left JPMIM in 1999 to become Chief Investment Officer and Director General at Sanpaolo IMI Asset Management in Milan, where in 2000 he became Chief Executive Officer. He left the company in 2001 to start Horatius, an investment advisory and later asset management company in Milan. In 2012 Massimo left Horatius and went back to London, where in 2014 he founded Bayes Investments. Massimo graduated in Economics at LUISS in Rome and holds a Master’s Degree (M.Phil.) and a Doctorate (D.Phil.) in Economics from the University of Oxford. In 2012 he started the Bayes blog at www.massimofuggetta.com, which has acquired popularity in the Value Investing community. Charles co-manages the Kennox Strategic Value Fund with Geoff Legg. He has 25 years’ experience in global stock markets. Charles began his career with Brockhouse & Cooper in Montreal, Canada, becoming a CFA charter holder in 1995. In 1997, Charles joined the Emerging Markets and Asia Pac Ex Japan team at First State Investments (called Stewart Ivory at the time) and worked as a key member of this team before leaving to start a focused, independent, global value investment management company – Kennox. David Kessler, is a Senior Asociate with Robotti & Company Advisors, LLC. Prior to joining Robotti & Company, David was a Research Analyst Consultant with Aquamarine Capital. He also held portfolio management roles with Rochdale Investment Management and Morgan Stanley, David received an MBA from Columbia Business School and was a member of Columbia’s Applied Value Investing Program. As an MBA student, David co-launched Columbia’s first student-run investment newsletter, “Graham & Doddsville.” He also gained valuable experience as a summer intern with Ruane, Cunniff & Goldfarb (Sequoia Fund). David graduated from the University of Maryland with a B.S. in Finance and Marketing. Francisco López Posadas is the Chief Investment Officer and Founder of LIFT Investment Advisors and has over 20 years of experience investing in public financial markets. LIFT Investment Advisors investment approach combines value investing principles with the team experience and the disciplined decision-taking process used in Private Equity. Julián Pascual is President at Buy&Hold Asset Management, he began his career as an analyst at Morgan Stanley in 1997 and moved to Deutsche Bank in 1999 where he stayed until 2004. In 2003 he was voted second best Spanish analyst by “Institutional Investor “. Since 2004 he was an independent manager of a Family Office advising several SICAV and is currently member of the Board of Directors of companies in different sectors. Julian graduated in Philosophy from the University of Navarra and won the Special Graduation Award. He also graduated in Law from the UNED and holds a MBA from IESE. After working for DWS Investments and Credit Suisse, he joined Metagestión at the beginning of 2007 as an analyst and co-manager. In 2012 he became CIO until May 2018, when he joined Horos Asset Management as CIO and Partner. Javier holds a degree in Economics from the University of Salamanca and a Master’s Degree in Finance from the Pontifical University of Comillas (ICADE). In addition, he holds the title of Chartered Financial Analyst since June 2011 and is a professor of the “Master in Value Investing and Cycle Theory” at the Center for Advanced Studies OMMA and the “Title of Expert in Stock Exchange” of the University of Alicante. A voracious reader and a great basketball fan, Javier, along with his team, has managed to place the funds he has managed at the top of the 5-year profitability ranking. Christian Ryther founded Curreen Capital in June 2013. He has been passionate about investing since he read Peter Lynch’s “Beating the Street” in his early teens. He loves hunting for unexpectedly beautiful businesses, and competing with the entire world in an endlessly shifting environment. Like many investors, Christian earned his MBA at the Columbia Business School and went through its value investing program. Unlike many investors, Christian was a Peace Corps Volunteer in Morocco. Christian also runs, a lot. He ran the Boston Marathon in under three hours before embracing ultramarathons. It took more than 25 hours through 90 degree heat, but he earned second place in the Black Hills 100 mile race. Ole Søeberg has more than 30 years investment experience. 15 years at investment banks Carnegie and Alfred Berg as analyst, sales and fund manager. Afterwards Ole was for years Investor Relations in TDC and Tryg Insurance with the latter including the investment committee, followed by 6 years CIO and fund manager in Skagen Funds, Norway. Aditionally, Ole brings 20 years Board experience in family trusts and 9 years as a Board member in Carnegie World Wide AM and Skagen Funds, before joining operations in 2011. Since 2017 he is an independent investor and advisor and opened the Advice Capital Vision Fund (Danish FSA regulated) in late 2018. 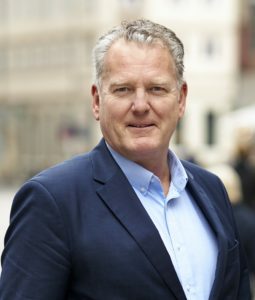 Recently he was appointed Chairman of the Danish Shareholders Association in 2019 – a non-profit organization with 13.000 active investors founded in 1984. Born in 1980, he is a portfolio manager with over 15 years of experience. Javier’s investment approach at Fimarge is long-term, value-based and focused, ideally looking for great and asset-light businesses with high returns on capital employed. He also likes under-researched and unloved companies, typically controlled by families under which capital allocation tend to be highly conservative and broadly in line with shareholders interest. He holds a Master’s Degree in Financial Markets from the University of Barcelona and a Diploma in Business Administration from the Autonoma’s University of Barcelona. In addition, he holds the Certified International Investment Analyst (CIIA) certification, having also participated as professor and speaker at different masters and financial events. He joined Fimarge in 2008 as Senior Equity Analyst and Portfolio Manager, co-running Investment Funds and managed accounts through blend strategies in which fixed income and corporates approach tend to be similar to what he looks for in equities. Before joining Fimarge, he worked at Renta 4 Banco as Portfolio Manager. Luis Urquijo CEO at Muza Gestión de Activos SGIIC, an independent value oriented Asset Management firm based in Madrid. His financial expertise spans over 20 years having worked as equity analyst and portfolio manager. In 2010, he became CIO of La Muza Inversiones SICAV, a 20 year old “long-only” fund with some €170 of AUM with compound returns above 10%. The SICAV invests globally with a “Value” approach. He holds an Executive MBA from IESE, a Master Degree in Finance from Instituto de Empresa and attended the Value Investing Course at University of Nebraska and a Value Investing Program from the Ben Graham Center. 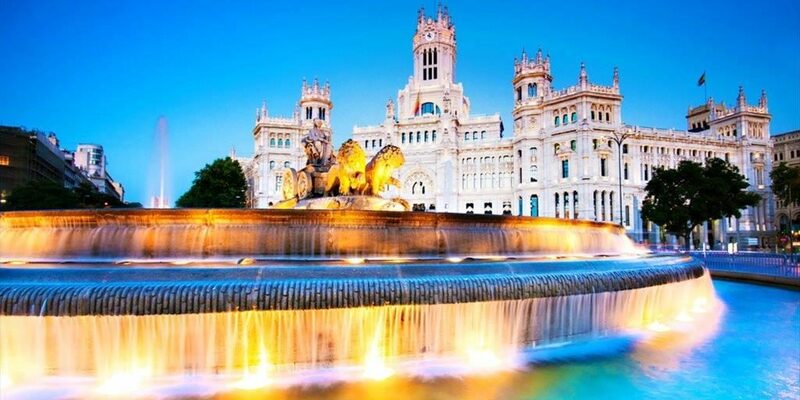 He has been Speaker in different investment seminars like Trani´s Value Investing Seminar and Value Spain. Throughout his career he has been linked to portfolio management and analysis of listed companies, both Spanish and European, always under the philosophy of “value creation”. Recently, he has set up the Asset Management firm, Augustus Capital. Since October 2013, he has been exclusively dedicated to the commercialization and management of Lierde, a directional open-ended investment fund with family origin. Previously (from 2007 to 2013) he was member of the management team of Augustus fund and Augustus Neutral Plus, a total return fund. During 2002-2007, he worked as Investment Manager in Ibercaja Gestión, with over Mn 1,300 EUR in assets under management. Currently he is co-founder of Augustus Capital AM. Carlos holds a bachelor´s degree in Business Administration Management from the University of Zaragoza and a master’s degree in finance by the ICMA Centre, University of Reading, United Kingdom. Mr. Vanderveer is a Managing Partner of Vanshap Capital. Vanshap Capital is an international contrarian small cap investment management firm, minority owned by Markel Corporation, a $15 billion market cap, value-oriented holding company with mutually aligned interests. Vanshap employs a research-intensive process, opportunistically scouring the globe for deeply undervalued high quality businesses, that are undiscovered or temporarily out of favor and are overseen by disciplined management. Prior to launching Vanshap, Mr. Vanderveer was an analyst at Aegis Financial Corporation. Mr. Vanderveer is a graduate of The George Washington University, where he earned a Bachelor of Business Administration degree, with a concentration in finance.